The volume and rate of infusion of Cholera Saline depends upon the requirements of the patient and the judgment of the physician. It usually varies with age, weight and clinical condition of the patient. 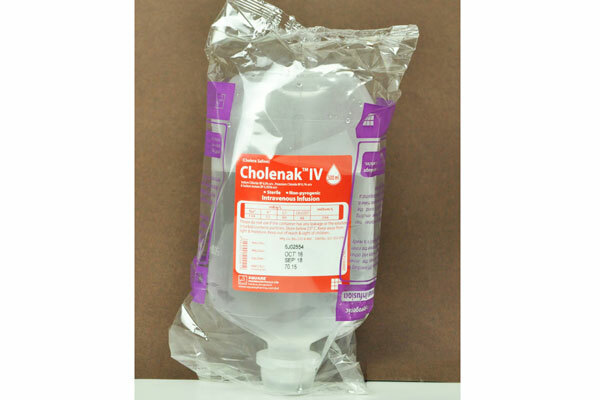 Cholenak™ IV Infusion, 500 ml: Each 100 ml solution contains Sodium Chloride BP 0.5 gm, Potassium Chloride BP 0.1 gm, and Sodium Acetate BP 0.393 gm. 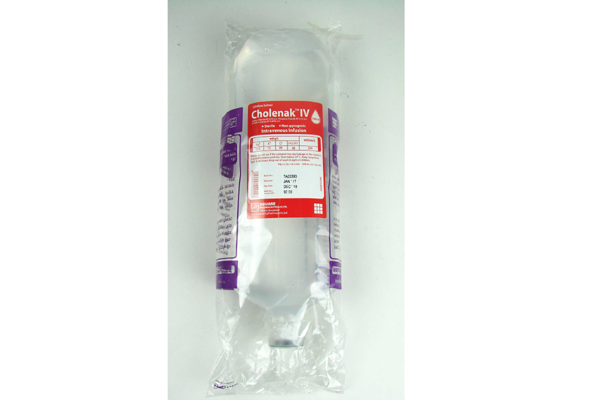 Cholenak™ IV Infusion, 1000 ml: Each 100 ml solution contains Sodium Chloride BP 0.5 gm, Potassium Chloride BP 0.1 gm, and Sodium Acetate BP 0.393 gm.